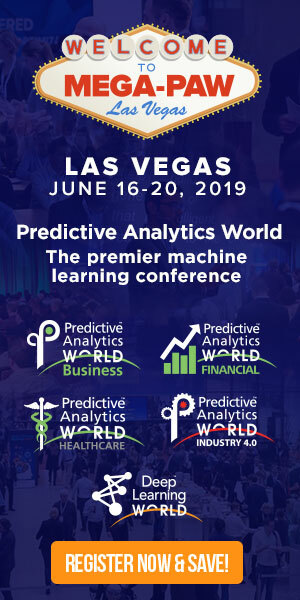 Use Code PATIMES15 for 15% off a two day pass or combo pass to Predictive Analytics World for Government. The largest and only vendor-neutral analytics conference for government. (Excludes workshops & All Access).